When we look at the Moon, we see a surface pocked with craters, scattered between seas of basalt from ancient lava flows. Since the Moon is not geologically active, it’s easy to imagine that the formation of lunar seas was triggered by large impacts. That’s actually been the dominant theory for some time. Now new research indicates that for at least one of the great seas, Oceanus Procellarum, that isn’t the case. The results have been recently published in Nature, and shows that the great sea seems to be the result of geological activity. 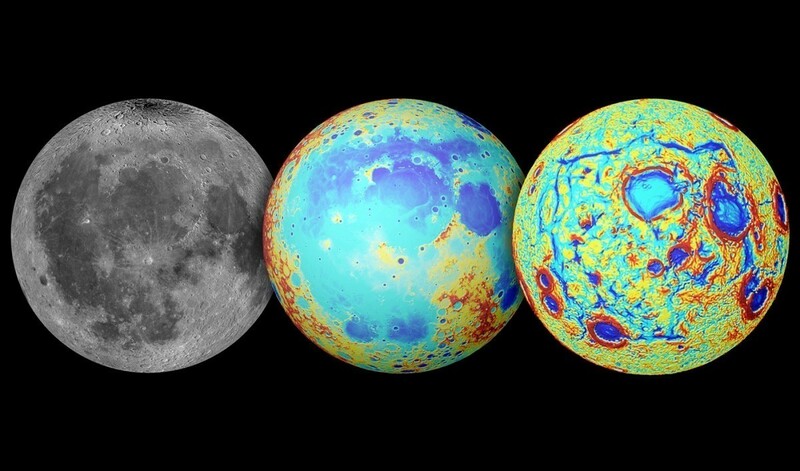 The team looked at data from the Gravity Recovery and Interior Laboratory (GRAIL), which is a pair of satellites that mapped the gravity of the Moon in great detail. When they analyzed the data, the team found rift zones bordering Oceanus Procellarum. 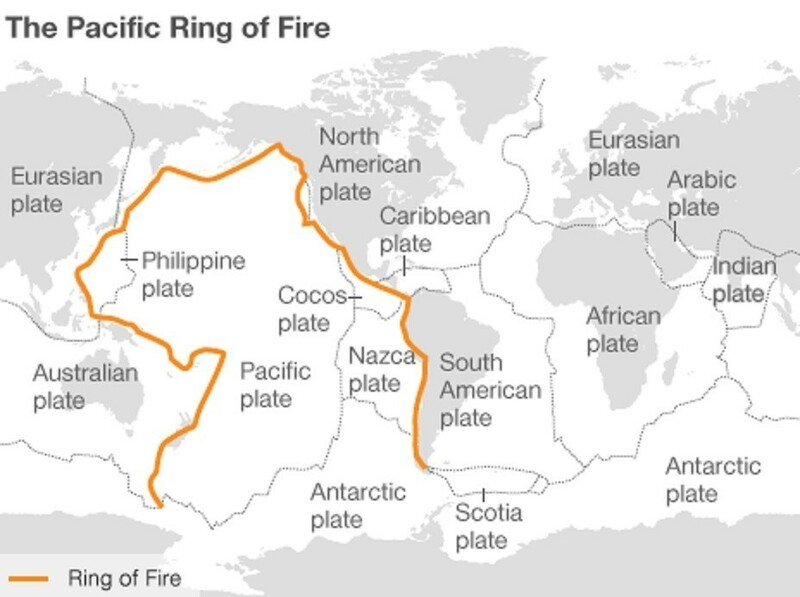 These rift zones (seen on the right of the image above) are fairly straight with sharp angles, which is not the type of thing you see with impact zones. We have observed rift zones on several planets, as well as on Saturn’s moon Enceladus, but finding them on the Moon is rather surprising. The Moon is not massive enough to drive plate tectonic activity on its own, and it isn’t driven by strong tidal effects like some moons of Jupiter and Saturn. So it isn’t clear how such rift zones could have formed on the lunar surface. One idea proposed by the authors is that the Moon’s crust is rather thin, and the under layers of that region were heated by radioactive decay. The Procellarum region is known to have higher concentrations of radioactive elements such as uranium and thorium, and this could have driven rift formation in the past. Regardless of the cause, it seems clear that the Moon was not simply a Moon battered by ancient impacts. It also had a few geological tricks of its own, and the famous Man in the Moon feature of Oceanus Procellarum is the result of one of them.